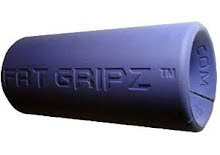 "...The WRIST ROLLER is a simple but effective forearm, wrist and finger developer. A dowel of wood, or pipe, about two inches in diameter is ideal for this. Bore a hole through the centre of this bar, place a stout cord through it about 3½ feet long, and attach a disc to the bottom. Then wind the weight up with the arms extended at shoulder height. Turn toward the body – then turn away from the body. Two trips each way with enough weight will usually leave you with arms paralyzed..."
Absolut geile Übung, und gute Idee mit dem Holz! Hab bis jetzt immer eine Hantelstange und ein dünnes Seil genommen, aber mit dem dicken Ast isses sicher noch um einiges effektiver!